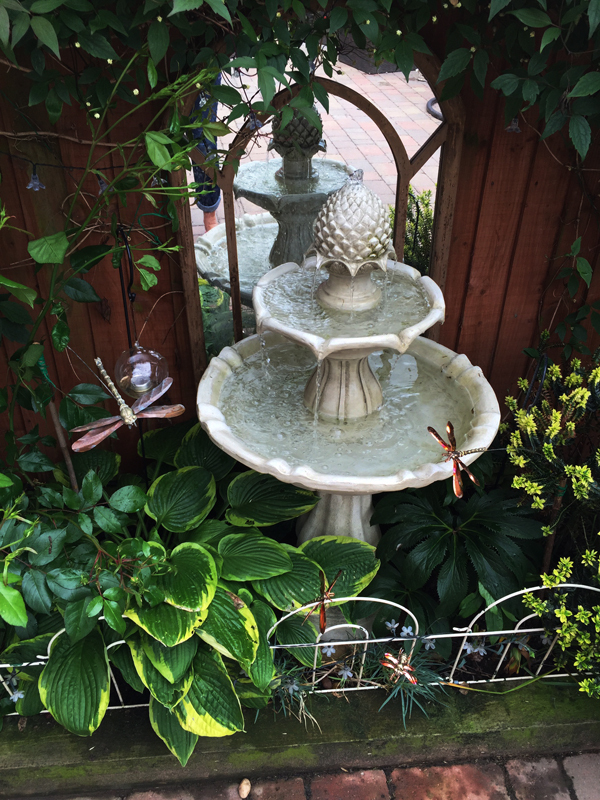 This attractive tiered fountain would make a great focal point in any setting. Made from polyresin and given a beautiful antique ivory finish this lovely feature is bound to draw admiring glances. The water pours out from the pineapple on the top and gently cascades down to the bowls below creating a calm trickling sound. Made from high quality polyresin, which is extremely durable and UV and frost resistant. 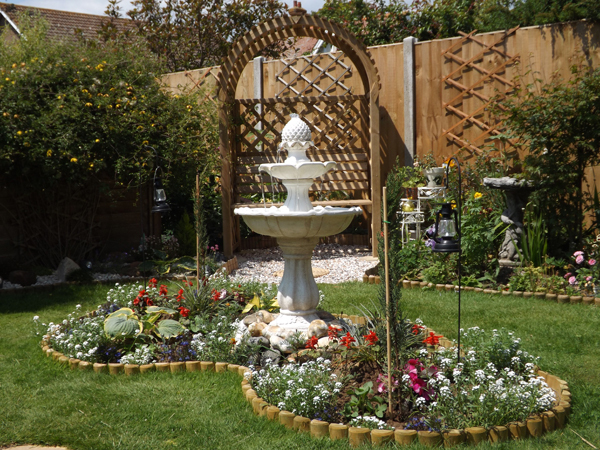 Thanks to Mr G for this great photo of the water feature in his garden. "Good product only downside was the colour and paint finish." "lining on bottom bowl starting to peel off, not good after only two weeks"
"1 word FANTASTIC great delivery"
"Very pleased with look, good assembly instructions but it did crack over the winter!!" "Brilliant product! Good price too." "Worked first time in instructions clear"